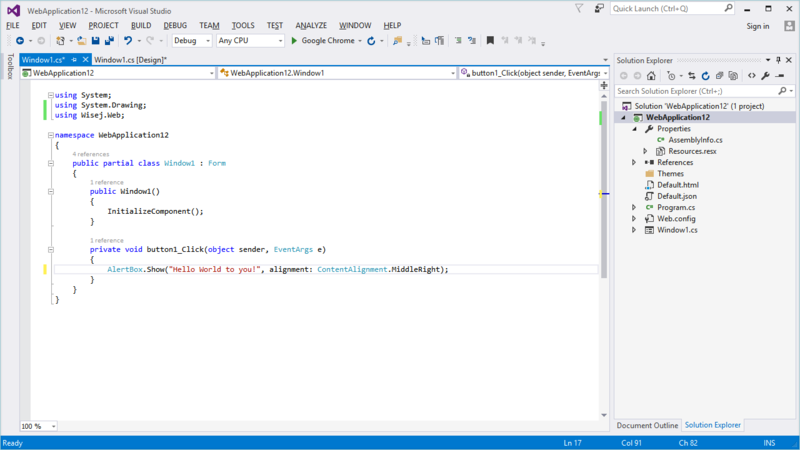 Wisej is designed to build, debug, deploy and manage web applications of any complexity in Visual Studio or SharpDevelop. 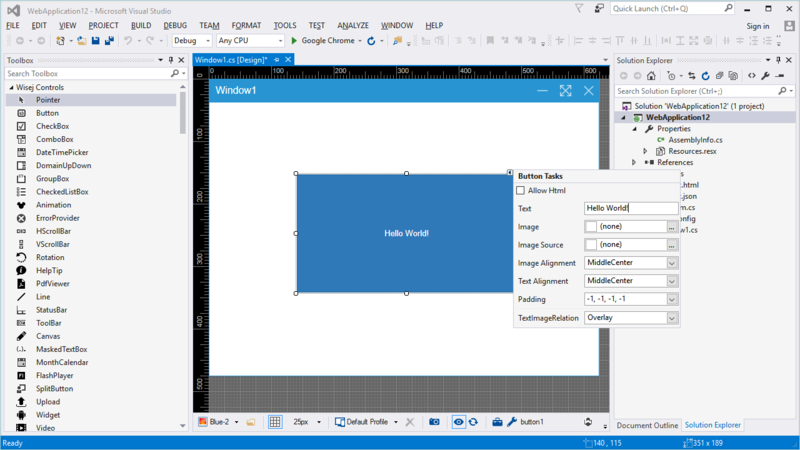 Open Visual Studio Select New Project -> Wisej -> Web Application. 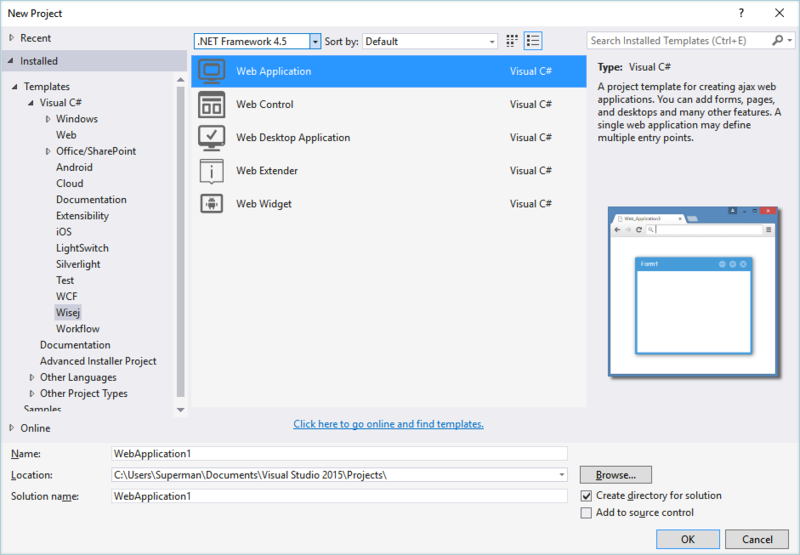 Visual Studio will create the project template and open the first window in design mode. You can select one of several project templates and add new project items such as pages, custom controls, desktop controls, extensions, etc. Choose from dozens of components and add-ons, including extenders that add rotation, animation, speech recognition & synthesis, tooltips & helptips capabilities to other components. 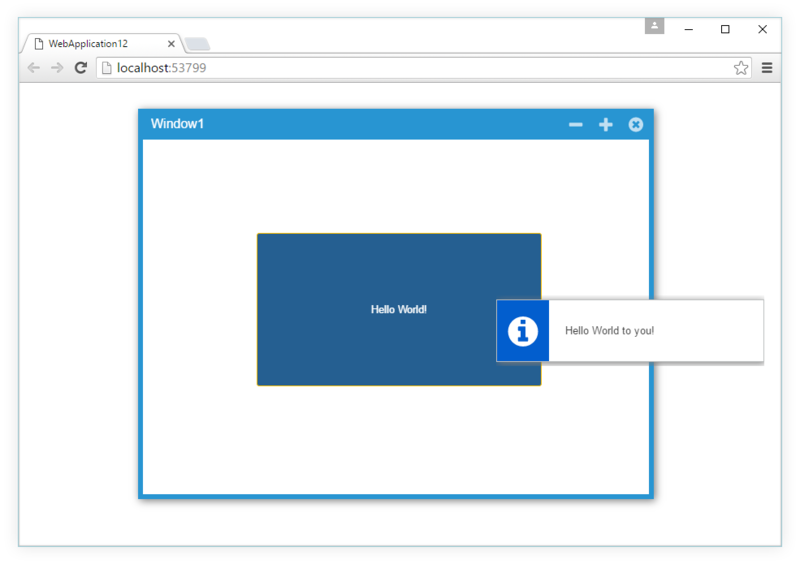 Double click on a component and add C#/VB.NET code that interacts with the browser in real time. It can even draw and paint directly on the browser using HTML5 canvas instructions or plain drawing instructions!